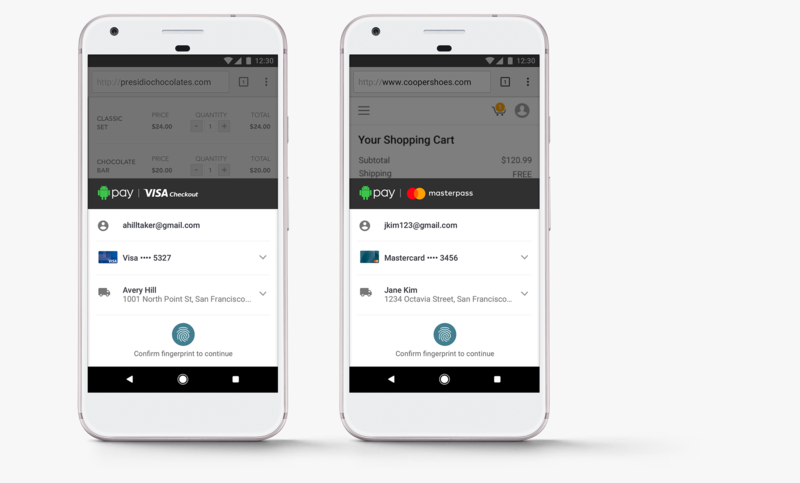 Today, Google announces strategic partnerships with Visa and Mastercard to bring Android Pay to more places on the mobile web. Visa Checkout and Masterpass users who link their accounts with Android Pay can look forward to easy and secure payments in stores and online with a simple tap. Android Pay’s open platform also makes the payment integration easy for merchants and developers. Merchants who have enabled Visa Checkout or Masterpass on their sites will instantly benefit from these enhanced payment experiences as the buttons will update automatically. And just as apps such as Fancy and Luxe have seen with Android Pay, these merchants can look forward to faster checkout times, fewer abandoned carts, higher conversions and increased sales. This latest partnership with Visa and Mastercard is an example of how Android Pay can work with partners’ existing solutions to improve the payments experience for users and merchants alike.